 “Canadians know that water is one of our most precious resources and they recognize that real action is required to protect our water infrastructure for today and the future,” says the Honourable Amarjeet Sohi, Minister of Infrastructure and Communities. Phase 1 allocates $5 billion for municipal water, wastewater and stormwater projects. Phase 2 will invest approximately $15-billion in green infrastructure over the next ten years, starting in 2017. On May 17, Canadian Water Network convened a National Municipal Water Infrastructure Roundtable that facilitated engagement among senior officials from Infrastructure Canada and 19 progressive municipalities (who provide water services to over 60% of Canadians). This meeting served as a unique platform to provide input into the planning and development of sustainable water infrastructure programs over the next 10 years. Industry leaders around the table shared their perspectives and developed key recommendations that support future-ready water systems.